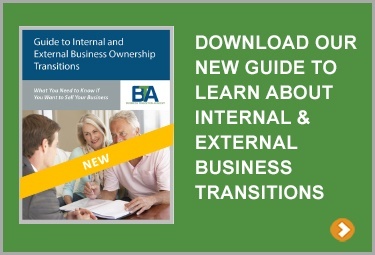 Are you one of the millions of baby boomer business owners who need to transition the ownership of their companies to others, but are not sure how it can be done? You have come to the right place! Our education and services are designed specifically for business owners who are contemplating a transition anytime during the next decade. Our mission is to assist the owners of privately held companies in making key transition decisions that impact their future as well as the future of their businesses, families, and employees. I worry that if I sell, the buyer might not keep my employees. I don't know what other options I have. My wife and I are ready to retire, should I call my interested competitor? I want my children to have the company but they don't have the money to buy me out. What can I do? My family and management team want me to slow down and work less, but my company is my life. I haven't been able to save much money outside of my company and I don't know if I can get enough from a sale? Learn about your challenges as a business owner looking to transition your business. Visit our Content Library and take advantage of all it has to offer. Knowledge is power; learn about planning your own successful transition. Join us for one of our live webinars and explore the tools, resources and the various ways BTA can assist you with your very own transition. Interact live with our experts, gain valuable knowledge, and ask questions about the transition process. Here at BTA, we act as an independent and objective resource for our clients to ensure that your goals are accomplished and your ideal vision achieved. We provide education and advisory services to owners of privately held businesses across all industries. Visit our Advisory Services page to learn more about our service offerings. Are You a Business Owner Considering a Transition? Be sure to visit and subscribe to our blog and stay abreast of the latest topics, tactics, and advice on how you can successfully transition from your business. Whether you desire an internal or external sale, our blog will provide you with valuable, timely information to prepare you for your own deal of a lifetime.